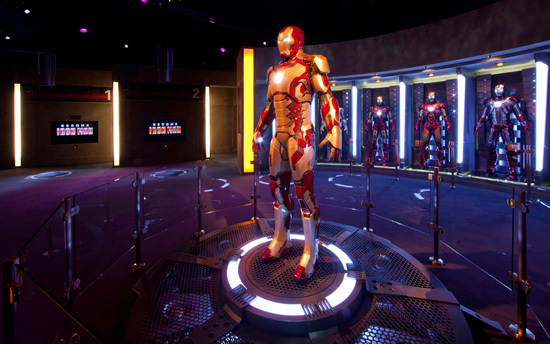 Iron Man Tech Presented by Stark Industries opens tomorrow at Innoventions in Disneyland park, but we’ve got a sneak peek inside the new exhibit for you today here on the Disney Parks Blog. 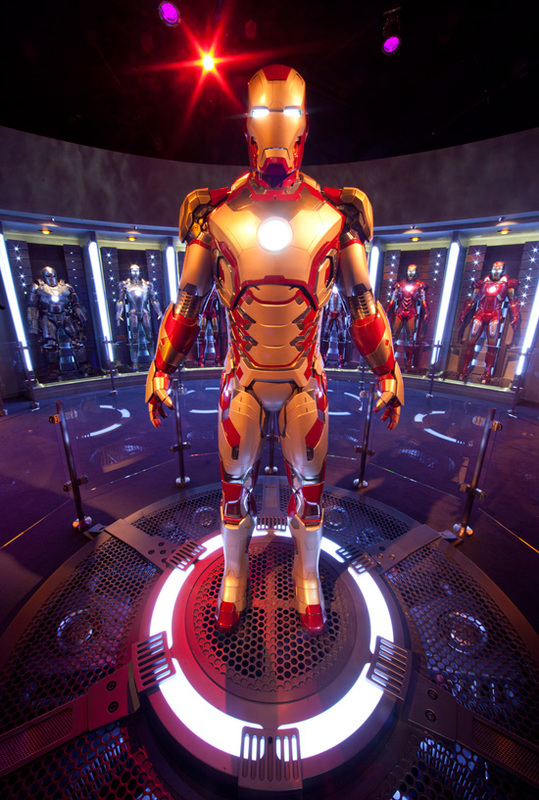 Walt Disney World in Florida usually gets all the cool new exclusives that come with Star Wars Weekends. More than likely because they have the space to accomodate. 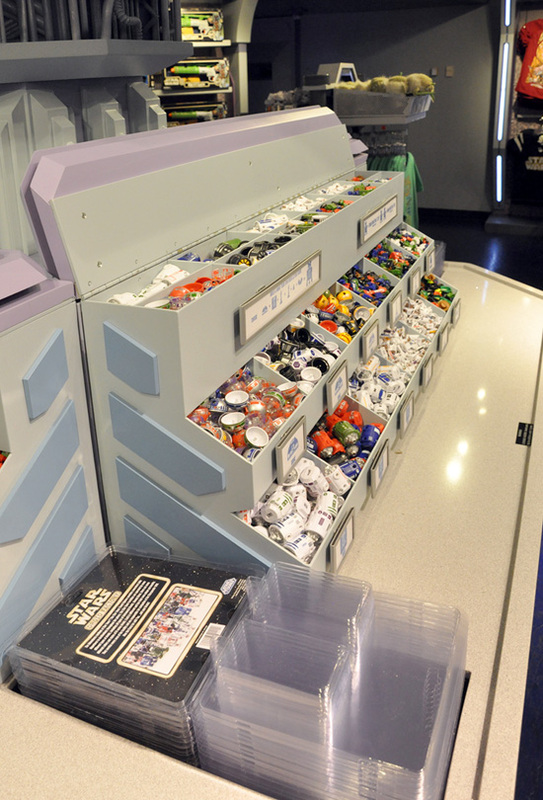 Finally though Disneyland will be getting their own Star Wars Droid Factory installed in Tomorrowland on April 13th. This is where you can build your own Star Wars Astromech amongst 71 different parts (domes, bodies, legs) in a variety of colors. Time to booked that summer trip! Hey all! For today’s post, we are going to take a very basic look at what types of results you can get using different apertures, and why knowing what your end result will look like will help you figure out what is best for different scenarios. I am nowhere near knowledgeable enough to give you all the scientific terms about what happens at different apertures and different focal lengths to create these different looks, but I do know what they look like and represent in real life out in the field. So, I am going to show you 5 different photos of the Chip and Dale statuette in the Hub at Magic Kingdom, all taken with the 5D Mark III and the Sigma 85mm f/1.4 lens, which is a favorite of mine. Here you can see that both Chip and Dale are in sharp focus while the rest of the image is slightly diffused. Notice how you start to see more separation from the statuette to the stroller and railing in the background. Even more separation. It is almost getting to the point where you cannot tell that it is a stroller in the background. Here you can see the background fading away to nothing. But, also notice how only one of the chipmunks is in sharp focus now. Now we’re seeing the right chipmunk crisp and sharp, but the left one almost comes across as out of focus, as if the camera focused incorrectly. Also notice though how the stroller is no longer a distraction in the frame whatsoever. There is also a rather heavy vignette, which was not applied by myself in post processing. This is just natural of the lens, especially present on a full frame camera. So, which one was the right one in this case? For me, it is between the f/4 and the f/2.8 image. With those, you are getting enough separation from the background, creating a nice portrait, but you also don’t get the distraction of having only Chip or Dale in focus. Don’t get me wrong, I absolutely LOVE the look of the background in the f/1.4 image, but having one half of the statuette out of focus makes it basically not useable. If this were perhaps the statuette of Goofy or Minnie, it would be a different story and I’d be opening that lens up to f/1.4 for sure.